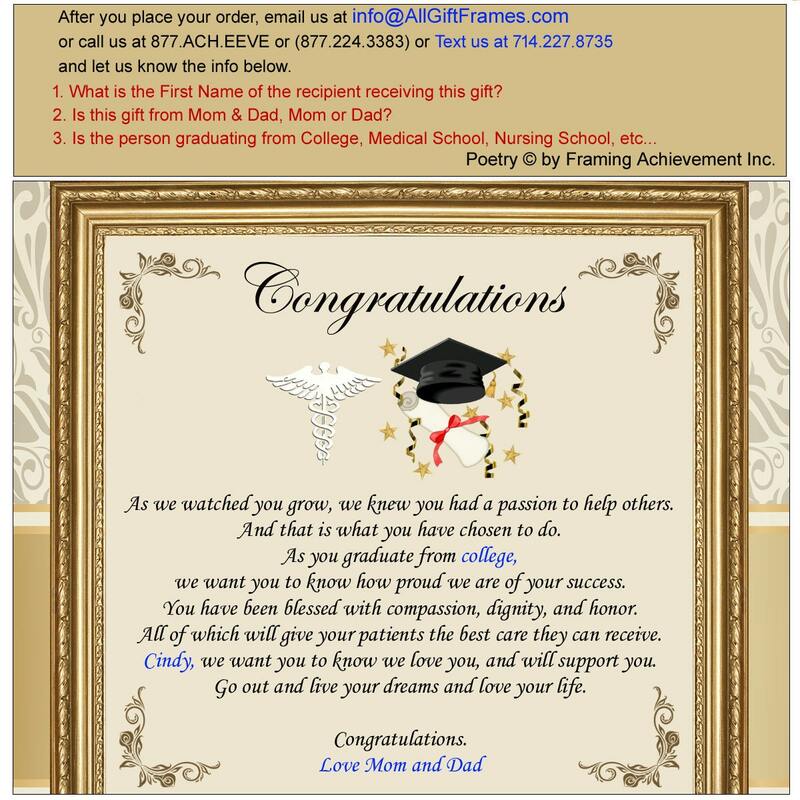 Celebrate your university medical school graduate son or daughter with a personalized poetry desk clock by Framing Achievement, Inc. 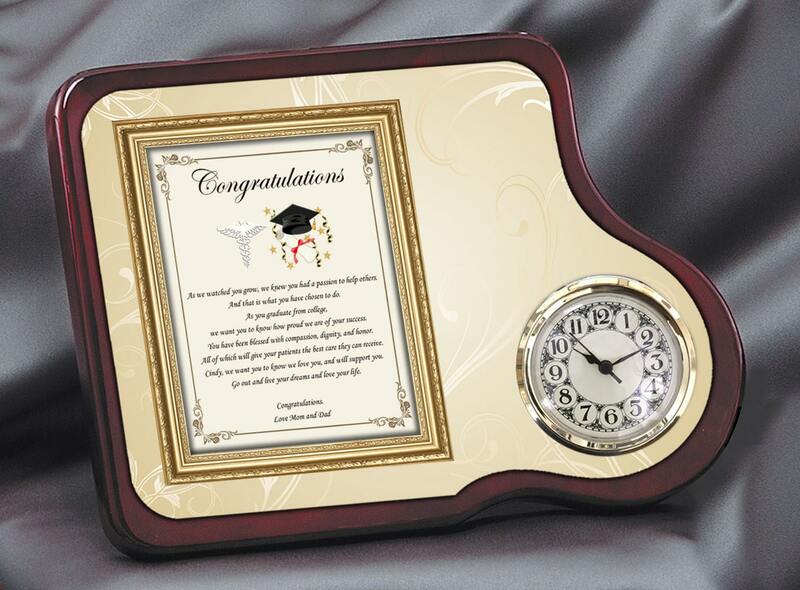 This personalized poetry college of medicine graduation frame desk clock features a traditional mahogany curved shape plaque complete with designer quartz movement clock. Elegant design numerals and second hand complete their displays. A handsome decoration for any office or home and an excellent medical school doctor or physician graduation gift to son or daughter from mom and dad or parents. Whether a birthday or college of medicine graduation, this personalized poetry table desk clock gift gives a feeling of achievement and elegance.